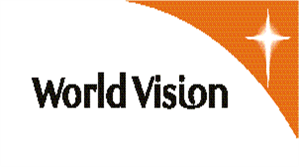 World Vision Rwanda (WVR) is a Christian-Child Focussed-Community Based Organization aiming at working with the poor and oppressed to promote human transformation, seek justice and bear witness to the good news of the kingdom of God. WVR works alongside communities, organizations, agencies and the church at the grass root level seeking to ensure safety, physical & emotional health, and good nutrition for our children. WVR carries out its transformational development work through Area Development Programs (ADP) which are geographically focused, integrated programs with long-term programmatic interventions that work closely with communities to identify and resolve developmental issues. Currently, WVR has 30 Area Development Programs throughout the country, focusing on early childhood education, shelter construction for widows and orphaned and vulnerable children, improving livelihoods, community harmony, reducing the incidence of diseases, and child protection. WVR has partnered with the International Rescue Committee (IRC) and the Academy for Educational Development (AED) for 5 years since 2004 to implement the Kenya Uganda Rwanda Ethiopia Together (KURET) project to combat exploitative child labor (CL) within the four countries.Â In Rwanda, KURET withdrew 4,251 children from exploitative labor, prevented 1,278 at-risk children from entering exploitative CL, and withdrew/prevented 1,843 children for a total of 7,372 children. As far as quality of education is concerned, WVR ensures quality education and make certain excellence of children be recognized and all, children achieve measurable learning outcomes especially in literacy, numeracy and essential life skills. Regarding improving the quality of teaching skills WVR has supported teachers to acquire practical skills since teachers are important resource and tool for change. Teachers have been given new teaching competencies that enable them to use a more child centered strategy, using participatory approach and democracy in the class. They have learned how to develop teaching aids of local available materials for low cost improvement in teaching effectiveness. The teachers have been made aware of their role and the responsibility regarding improving quality of education. WVR has also played a significant role in improving learning physical infrastructure as a long-term solution to classroom overcrowding by supporting communities with addition of school blocks. The programme interventions thus contributed enormously in construction of classes, latrines and water tanks in some schools where resources are inadequate. The education project provided school furniture like chairs, blackboards, desks and shelves which significantly improve proper seating in the class to ease congestion which seriously affects proper learning of children. Currently, WVR has 70,000 Registered Children and support about 2,500,000 people in 21 districts out of 30 districts of Rwanda. This entry was posted in Member Organizations, World Vision Rwanda by RENCP. Bookmark the permalink.